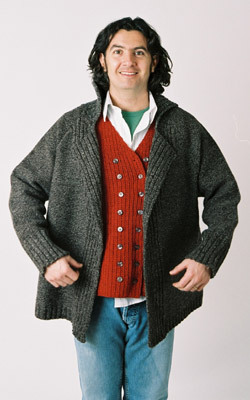 Unstructured, large, raglan sleeve cardigan/jacket. Beautifully styled to be both casual and elegant. Fashioned in wool and cashmere, it features rib detail on front, lapel and back. Worn here over double-breasted cashmere and wool waistcoat in red.